Today in 1868, the 14th Amendment was adopted into the U.S. Constitution, granting citizenship to African Americans with all its privileges. This amendment was recently cited in a Supreme Court opinion on Chicago gun control, and in the original post below, LeeAnna Keith looks back at American legal history to show how the Court is looking forward. Associate Justice Clarence Thomas took dead aim at Supreme Court tradition in his recent concurring opinion on gun control in the city of Chicago. McDonald v. Chicago, named for an African American plaintiff, raised the question of whether the 2nd Amendment’s guarantee of the right to bear arms imposed limitations against the states. A plurality of justices insisted that it did, citing the due process clause of the 14th Amendment and its transference of fundamental rights of U.S. citizens to residents of particular states. Thomas went a step further in support of the gun rights challenge, arguing in favor of overturning the legal doctrine established in two key Supreme Court decisions of the Reconstruction Era. Among the many provisions of the powerhouse 14th Amendment is the clause prohibiting states to “deprive any person of life, liberty, or property, without due process of law.” Dynamic jurisprudence on the basis of this language, known as substantive due process, has a long history in the American courts. Since the 1890s, its beneficiaries have included corporations seeking shelter from state regulation and opponents of Affirmative Action programs. The decision in favor of Otis McDonald, which strikes down Chicago’s comprehensive restrictions on firearms, extends the protections of the 14th to include the gun rights constituency. Thomas’s concurring opinion – celebrated as his finest hour in both conservative and black-friendly media outlets – takes issue with the body of precedent that narrows the scope of the privileges and immunities clause. Following the logic established in the Slaughterhouse Cases (1873) and U.S. v. Cruikshank (1876), he says, the court has operated in defiance of the original intent of the framers of the 14th, who explicitly advocated for the right to bear arms and other privileges and immunities established in the Bill of Rights. Thomas finds that Cruikshank “is not a precedent entitled to any respect,” based on flawed legal reasoning. Moreover, he insists, “the consequences of Cruikshank” in black history provide an illustration of the importance of constitutional guarantees of rights of citizens. The conservative thrust of substantive due process jurisprudence stands in contrast to the origins of the 14th Amendment in the radical politics of the Civil War and Reconstruction Era. In those days, the scourge of insurrection and war had elevated an avenging faction of Republican Party activists and army officers to the highest levels of government. The Radical Republican agenda took aim at the southern aristocracy, seen as an ongoing threat to the Union in the postwar era, and championed the civil rights and voting rights of African American men. Advocacy for the freedmen’s right to bear arms – articulated repeatedly in the laws and discourse of the Radical Congress and bureaucracy – was one of many anachronistic-seeming expressions of the black power agenda of the 1860s and 1870s. The Supreme Court of the 1870s and afterward played a key role in the containment of American Radicalism by handing down conservative interpretations of Reconstruction Era laws, including Slaughterhouse and Cruikshank as well as such better-known decisions as Plessy v. Ferguson. Legal limitations, in combination with the resurgence of the Democratic Party and other factors, led to the fundamental miscarriage of the promise of African American rights. Particularly damaging was Cruikshank, as Thomas presents it, which empowered Ku Klux Klan violence by remanding matters of law enforcement and gun control to state and local officials. Respect for precedent, or stare decisis – to let the decision stand – is a key component of the American legal tradition. In calling U.S. v. Cruikshank bad law, Justice Thomas ventures onto radical ground. Like the flawed decisions in Plessy and Dred Scott v. Sandford (1859), the distortions in Cruikshank reflected the constitutional challenges presented by the institution of slavery and the tradition of black subjugation. In advocating to effect the privileges and immunities protections of the 14th Amendment, Clarence Thomas ventures into the politics of black radicalism for the first time in his public life. The implications of his interpretation for future considerations of the Bill of Rights and state laws add to the complexity of the evolving court. 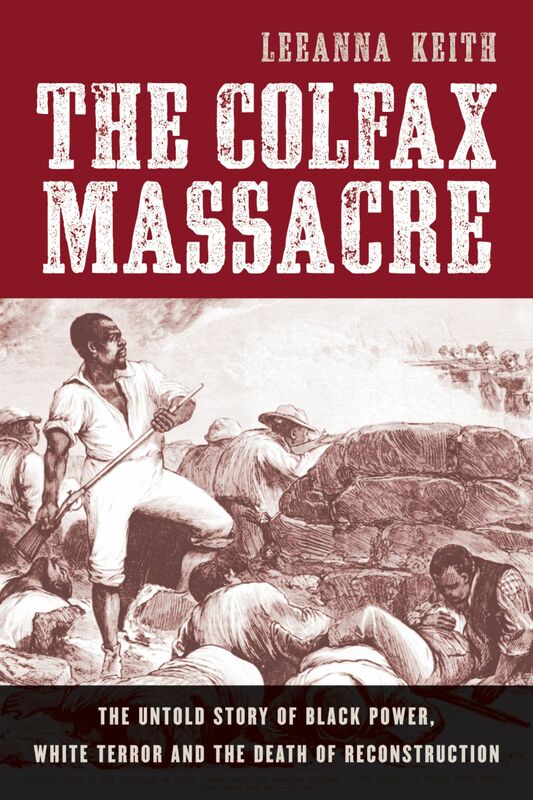 LeeAnna Keith is the author of The Colfax Massacre: The Untold Story of Black Power, White Terror, and the Death of Reconstruction and teaches history at the Collegiate School in New York City.